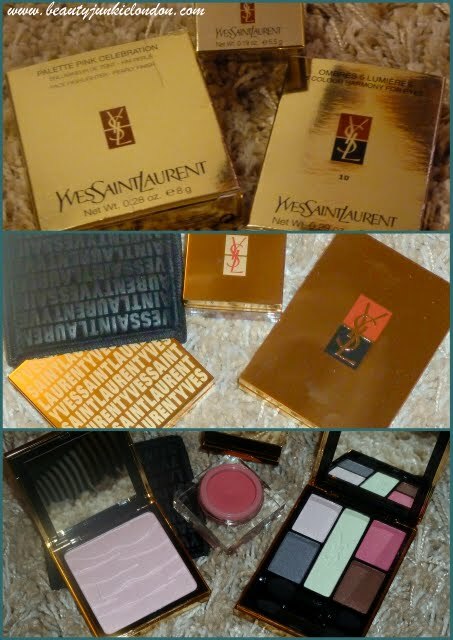 YSL always has that pure luxe factor, it’s the gold – like Estee Lauder – that makes it feel special, and expensive. The Pink Celebration Palette highlighter from the Spring collection does just that – the gold compact with the brand all over it and tucked away in a soft black pouch. That’s the sort of make-up that I’ll pull out & touch up on the tube, just to show it off! That said, the stand out from these bits for me is the cream blush. I love how the bright pink shade blends out into a really natural looking flush of colour. This is a cream blush that blends out into a more powdery finish, but without looking remotely dry or chalky – just a healthy flush of colour. A little touch of colour goes a long way with this blush, it’s highly pigmented so if you have pale skin like mine then you only need a tiny touch. The highlighter is as silky as it looks with the gentle wave embossing pattern. Other than the fact it’s very, very, pretty, there isn’t much more to say. Beautiful product. Left image: top- hightlighter, bottom – cream blush. 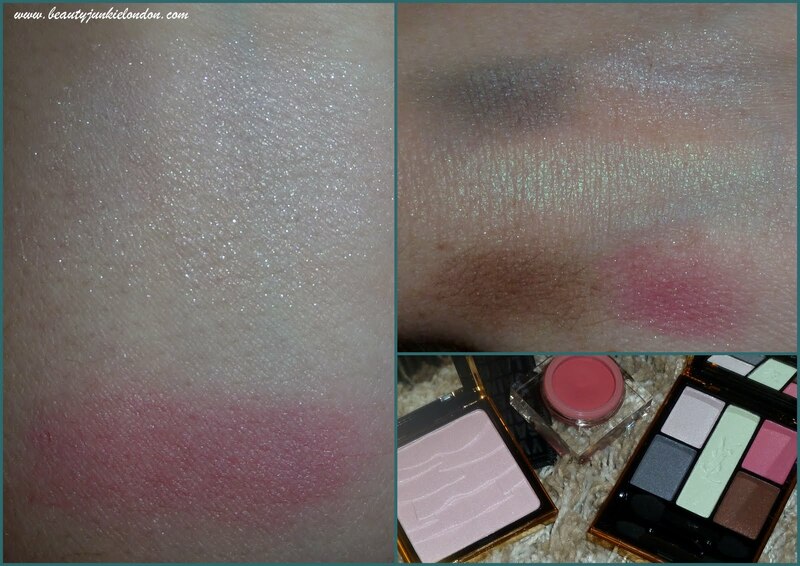 Right image top: eyeshadow quad swatches. The eyeshadow palette on the other hand has left me a little stumped. The combination of colours is really unusual and you would have to be braver with make-up than I am to manage to pull of a look with the pale lime shade and the pink both included! The other colours are also really nice, but not hugely pigmented – the swatches are quite heavy to get the colours to show enough to be photographed. The pink would make a lovely blush shade though! Overall, my view is that YSL is a brand that has the ‘ooh & ahh’ factor, if you know what I mean. It’s the sort of make-up that can create insane jealousy in other women from the packaging along. If you are a fan of blush then I REALLY recommend you check out the creamy blush. Next Post Sure & Dove Black & Blog event: win a goody bag! Love YSL.. it really does ooze luxury!! Highlighter looks lush! !